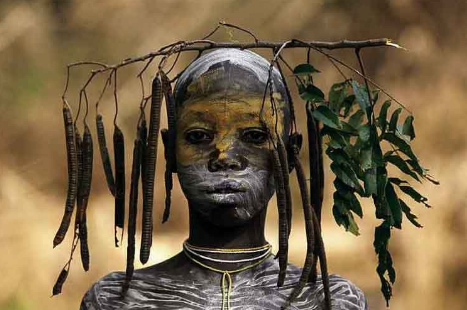 How different can a life be? 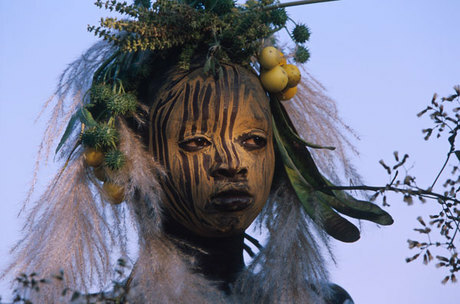 I can’t stop thinking about what life would feel like if I used paints, parts of various plants, nuts, feathers, fur, whatever I could find from nature to make spectacular headpieces and body accessories for myself, family and friends, and I did this 2 -3 times a day! 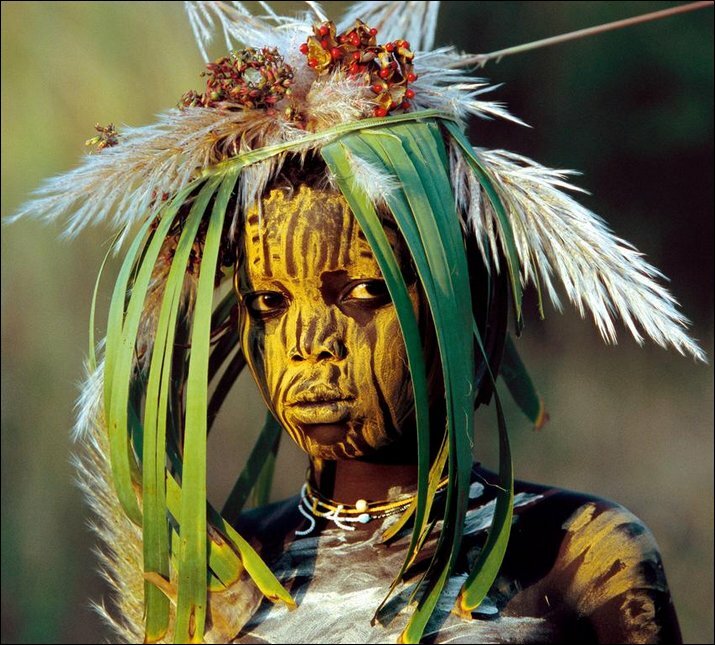 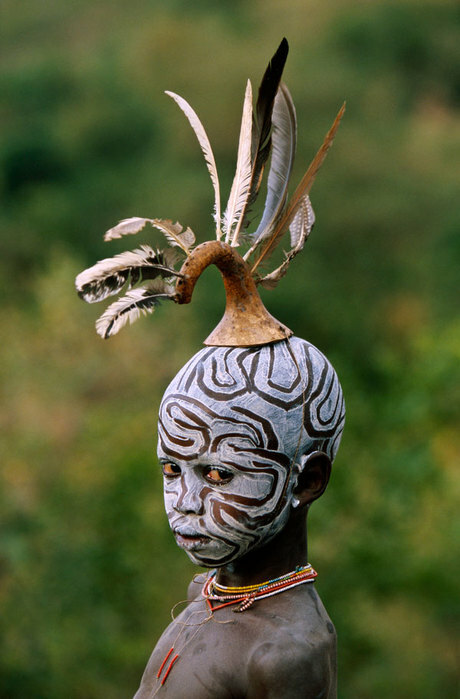 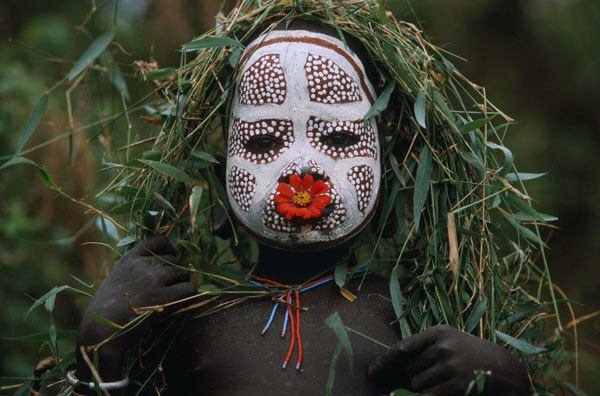 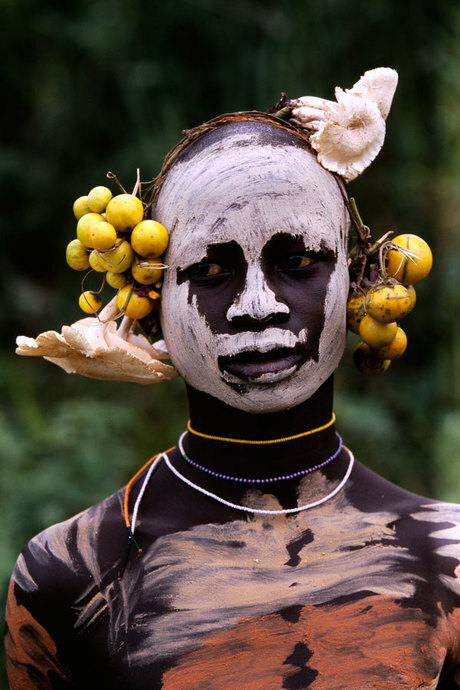 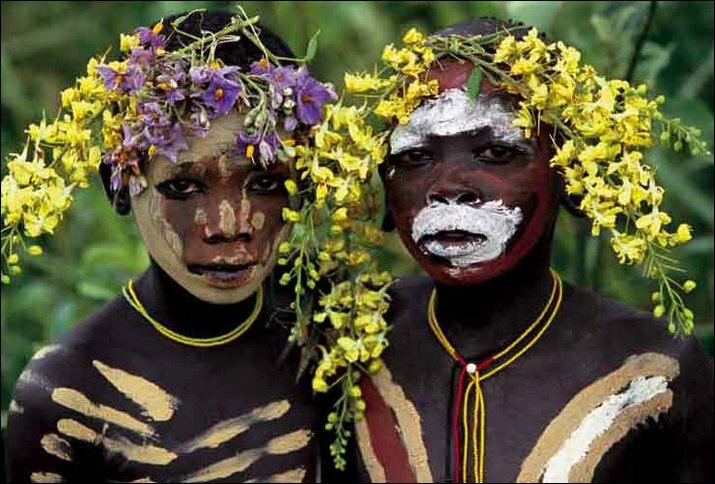 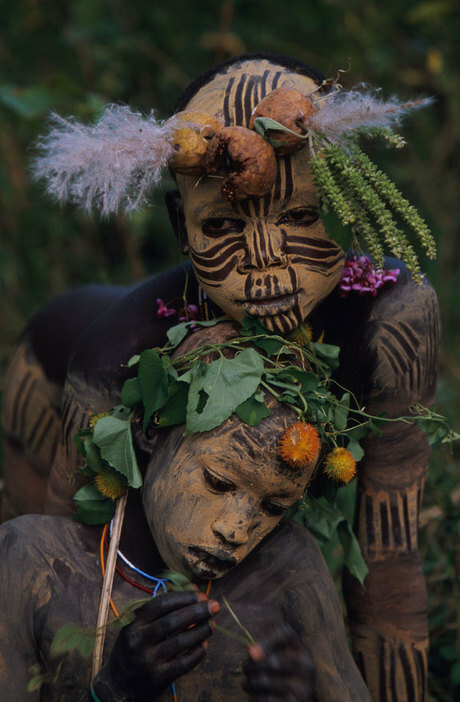 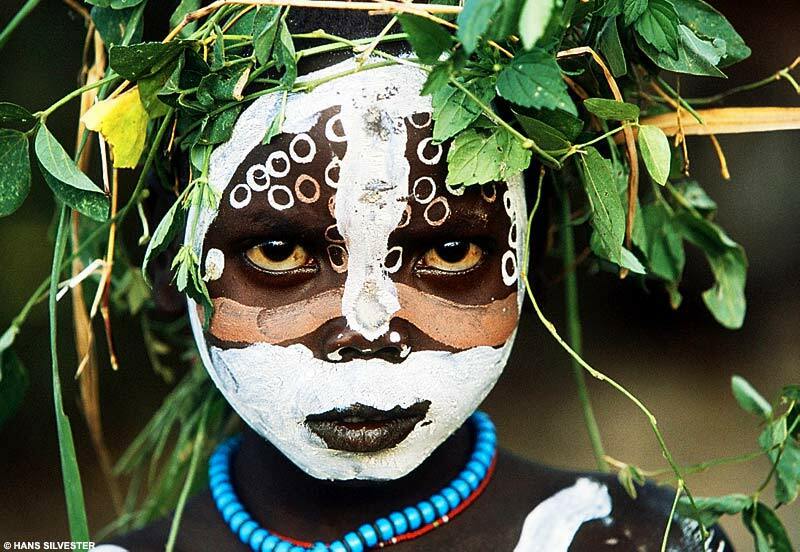 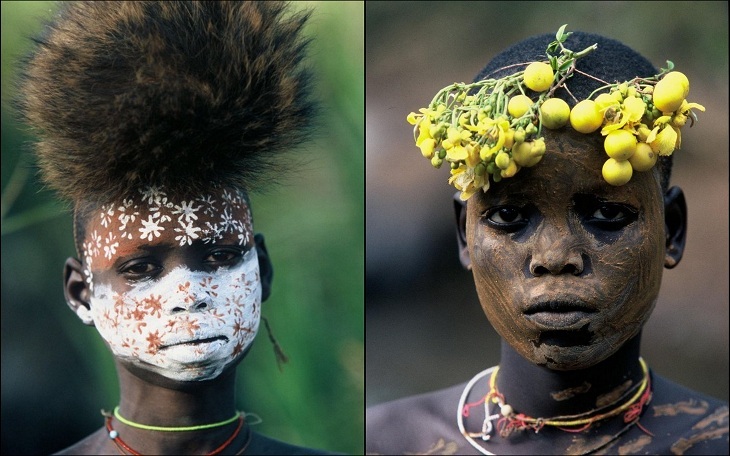 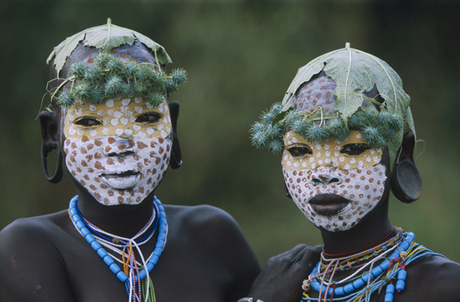 Thanks to German photographer Hans Silvester we can witness the dazzling artistry of the Surma and Mursi people of the Omo Valley in southern Ethiopia as they perform their ancient tradition of temporary body decoration on themselves and each other a few times each day. 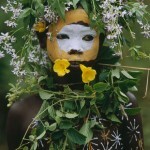 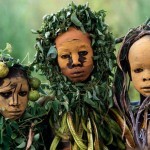 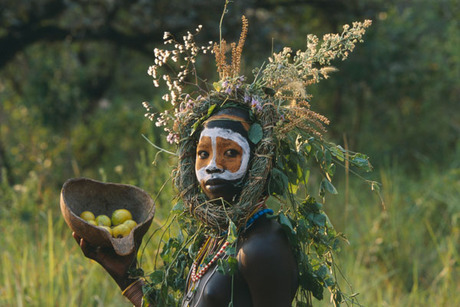 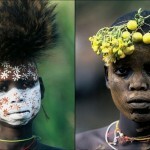 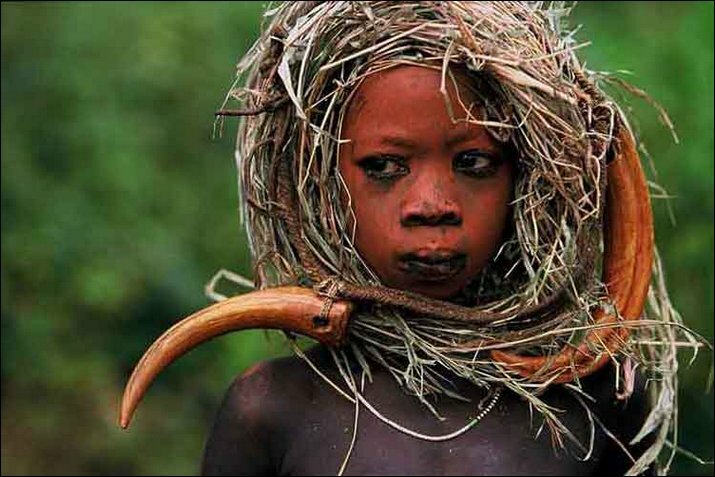 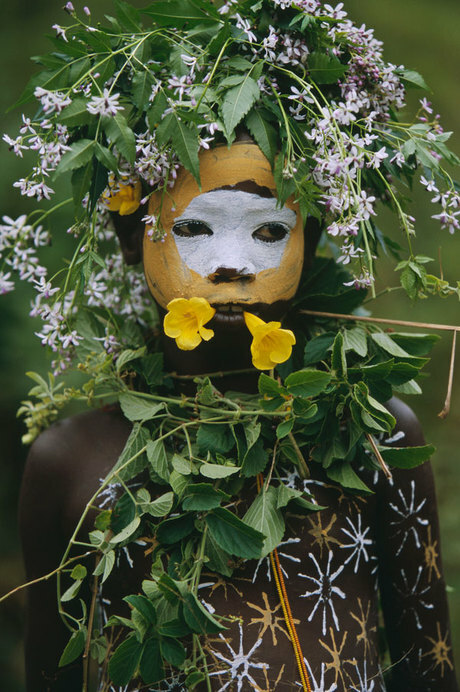 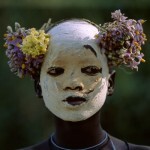 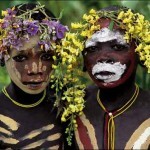 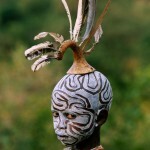 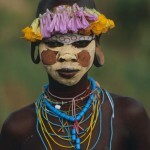 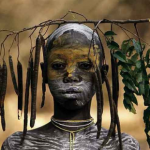 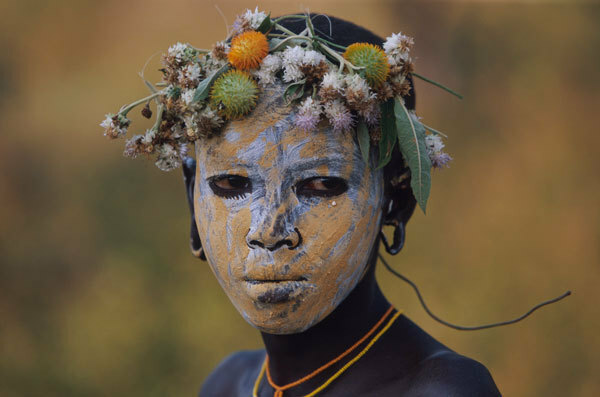 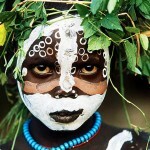 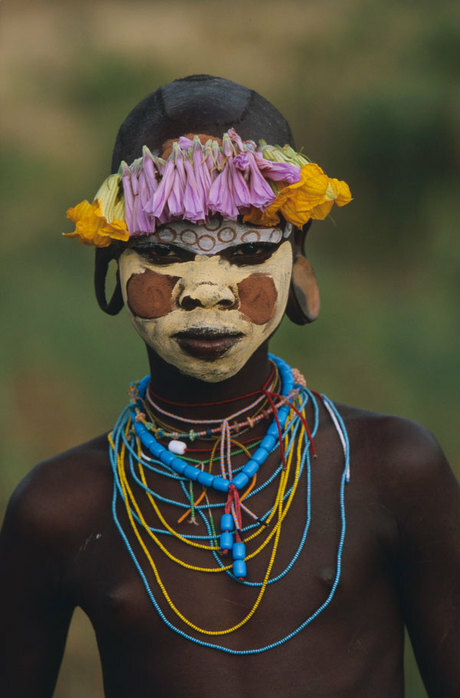 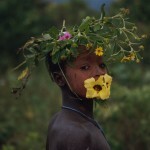 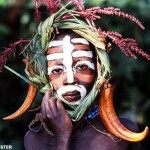 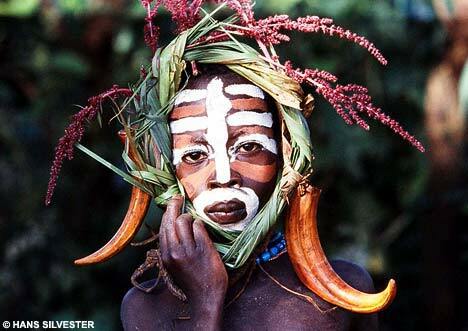 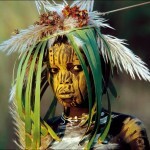 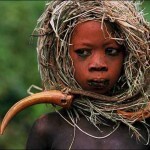 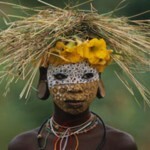 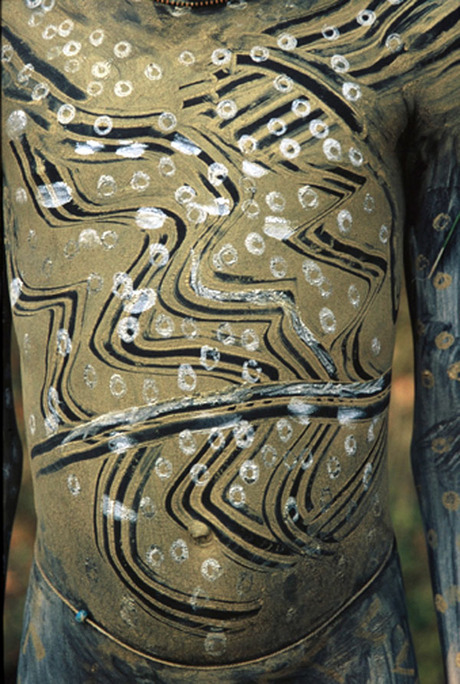 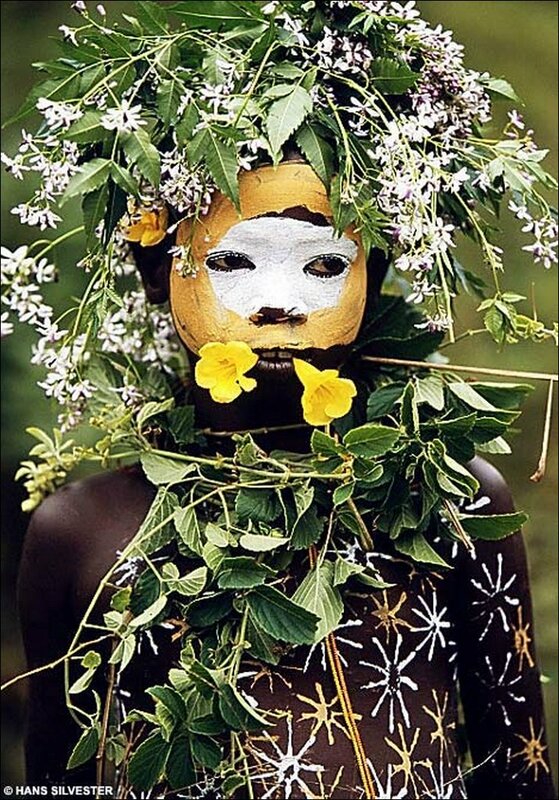 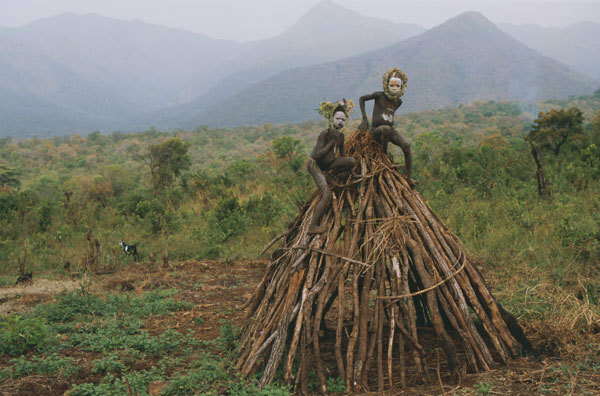 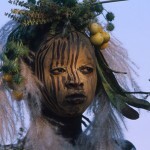 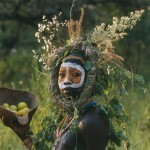 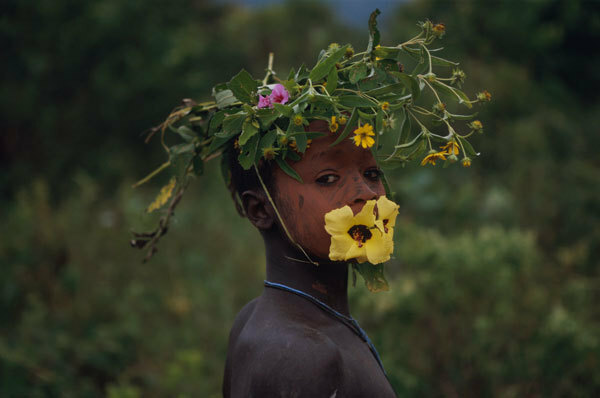 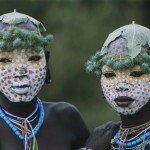 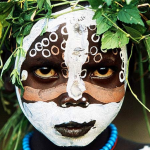 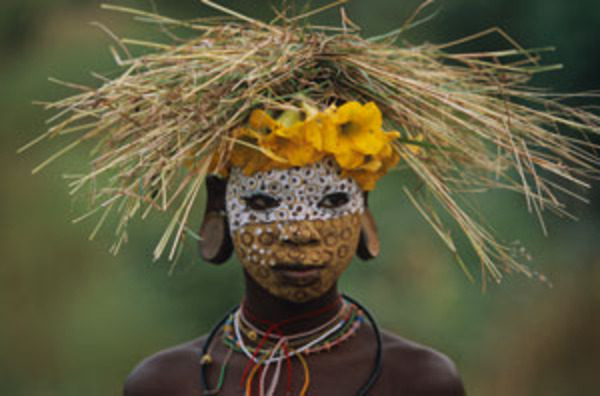 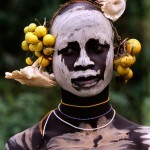 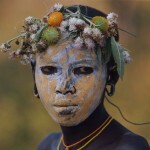 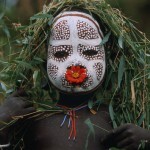 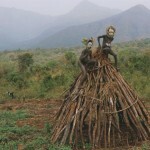 Here’s a link to Hans Silvester’s book about people of the Omo Valley at Amazon. 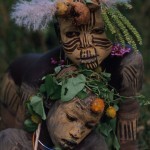 absolutely beautiful – awsome, wouldn’t it be wonderful to be these children. 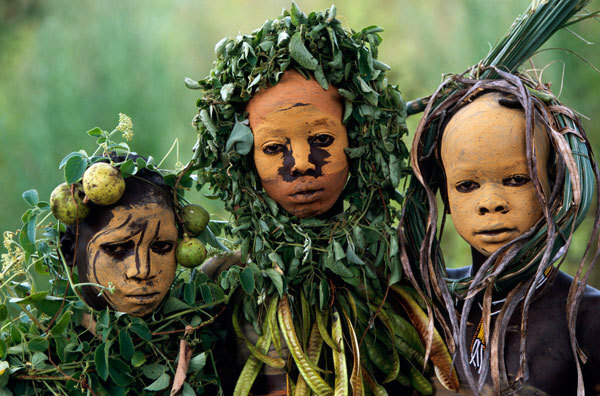 I found the following info though I agree these look mostly like children. 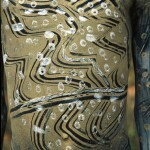 Mothers paint babies, children and adults paint themselves and each other. 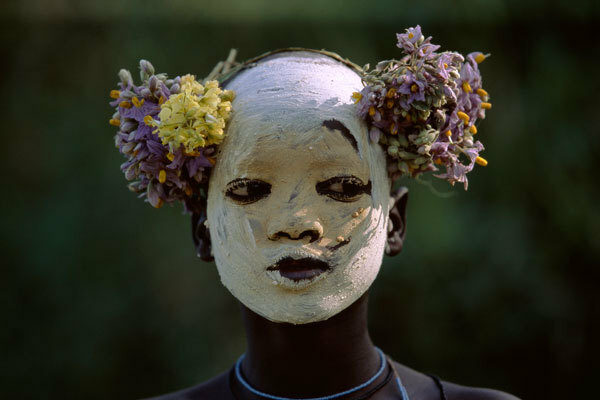 Living art and living as art – a challenge to the monotony of the quotidian.